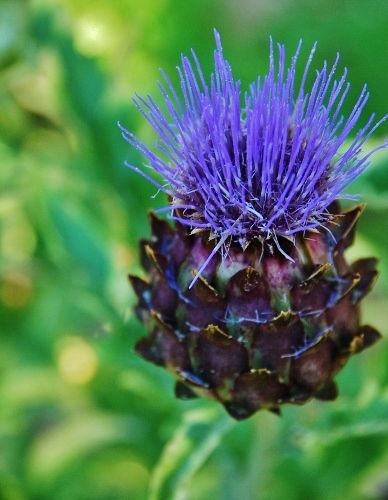 I absolutely love this blue-purple color. Enjoying the sight of these blooms is just as satisfying as eating the hearts (which must be harvested before they bloom). 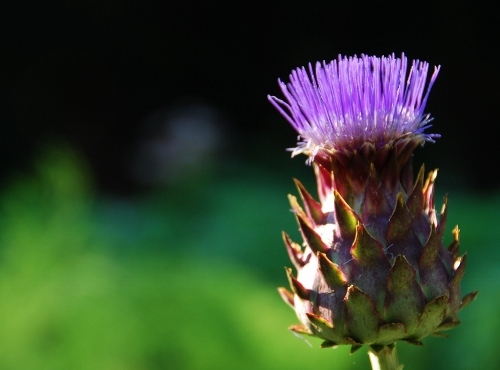 We have eaten many artichoke hearts and are letting the rest flower. I spy a Tigger melon! 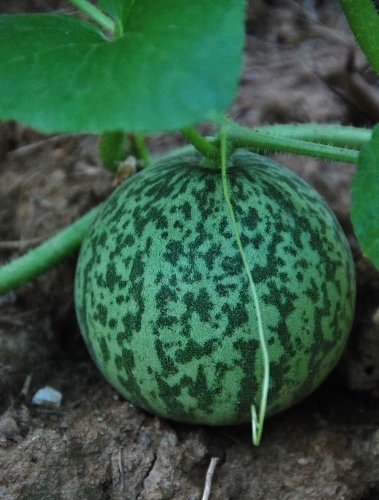 The light green will turn yellow and the darker green spots will turn red when this melon is ripe! 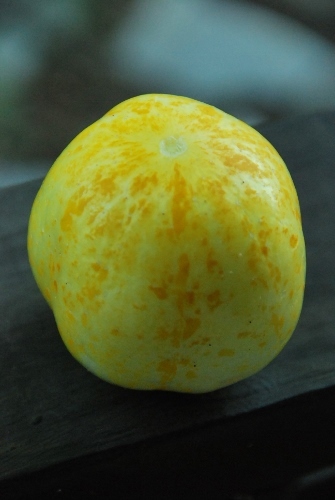 The lemon cucumbers are more seedy than the other variety we’re growing (delikatesse). I’ve been slicing them to flavor my water, a twist on lemon slices! 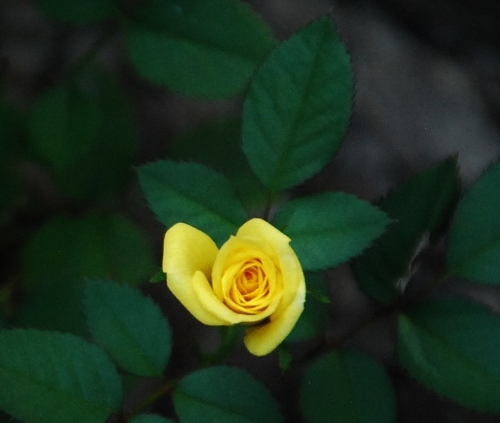 This entry was posted in Art, Food, Gardening, Glogging, Missouri, Photography, St. Louis on July 24, 2013 by Spy Garden.